In 2013, Willpower celebrated its 20th Anniversary. Willpower has grown from a collection of 10 members to our current intake of over 250 members, with approximately 3,000 passing through our doors in the last 20 years. We have been working with the youth of Wigan for these 20 years and seen many of our graduates move on from Willpower both into the acting circle and to other professions, including doctors, teachers and lawyers. 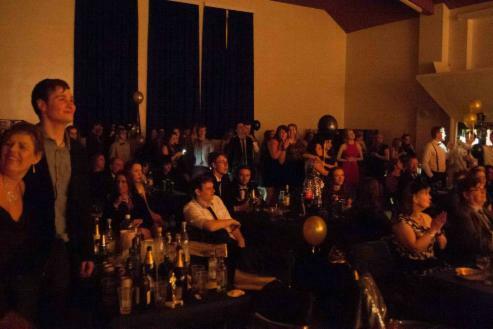 The year was celebrated through a number of events such as our very own Oscars event - The W'Oscars where past members were able to come together to catch up and watch the awards ceremony. The event started with a two minute standing ovation to the founders - Caroline Joynt and Tim Hans Smith - whereby tears of happiness were shed and hands became red raw all in the name of showing the two founders, and some dear friends, our appreciation. The younger members had their own event with a fancy dress disco at St Michael's Hall - of course some of the older and past members couldn't resist coming down to dress up!